Providing evidence-based care with a compassionate touch. 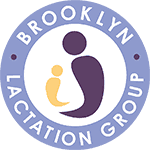 Interested in taking Childbirth Classes? 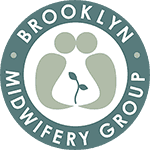 The Brooklyn Birthing Center has partnered with Sara Kramer to offer HypnoBirthing, The Mongan Method classes. Sara Kramer is a Birthing Specialist who has been featured on CBS News (you can watch the interview here) as one of the top HypnoBirthing experts in New York. Sara has taught over 700 Moms who went on to have natural births with little to no medical intervention and with little to no pain. Moms trust Sara Kramer to teach them to have a calmer, more comfortable birth. Moms learn to be relaxed in their mind and body, which drastically decreases the need for pain medication and medical intervention*. You could have a Natural Birth at the hospital, birthing center, or at home. The choice is yours and your body is perfectly equipped for the task. Sign up for the HypnoBirthing course and learn the methods and techniques that will make all the difference for your birth. *For some moms, interventions are necessary and life saving. Our goal is only to avoid routine or unnecessary interventions. HypnoBirthing helps towards achieving the most natural intervention- free birth that is safe for each mom and her baby. Click here to sign up.